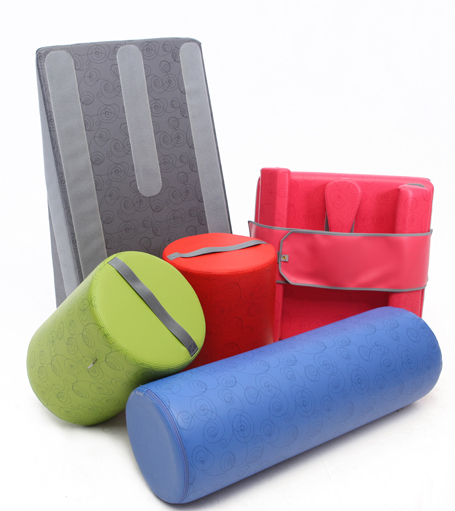 Jenx Rolls, Mats and Wedges are bright, easy-to-use therapy aids that children can quickly start to benefit from without undergoing formal assessment. 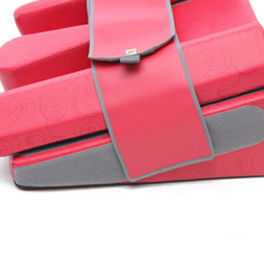 Wedges: Can be used to offer lying in prone or supine and have accessories to enhance postural control and stability. Rolls: Can be used in lying to support both legs at the knees. This tends to increase the stability of the child and helps to prevent legs rolling to the side or the child “windsweeping”. T-rolls are particularly effective in reducing windsweep in lying. 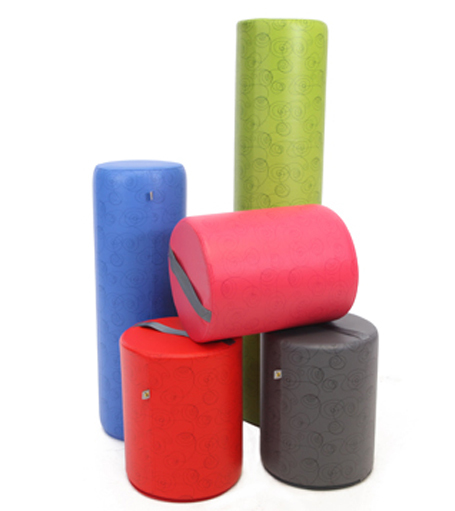 Rolls are also a great aid to practice sitting balance and to practice sit to stand, whilst maintaining a neutral or abducted hip position for the child to improve the standing position achieved. 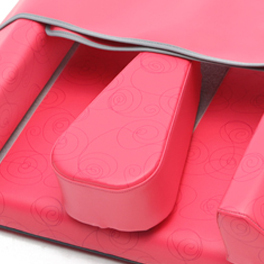 Mats: These are custom made to the size and shape your child needs. When you have decided what you need, simply get in touch with us at Jiraffe, and we’ll send you out a form which will allow you to specify measurements and other requirements, then we will provide you with a full quotation. Please bear in mind that custom-made items cannot be returned so do take great care with your measuring. 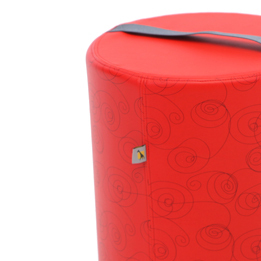 Covers made from durable fabrics lengthen the life of your product. 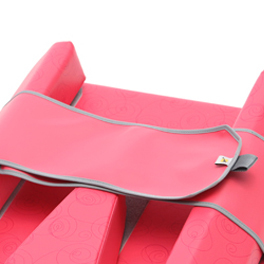 Easy clean, water repellent, fire retardant covers make your item safe, easy to keep clean and pleasant to use. 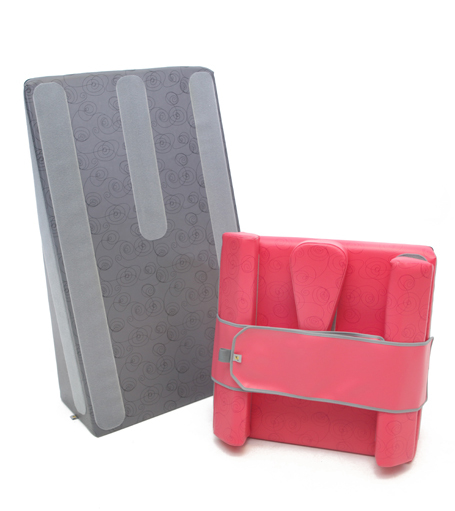 Wedges used for prone lying can have straps to keep a child centred on the wedge, side walls to prevent active children from rolling off the wedge and abduction blocks to maintain a neutral or abducted hip position in prone lying. 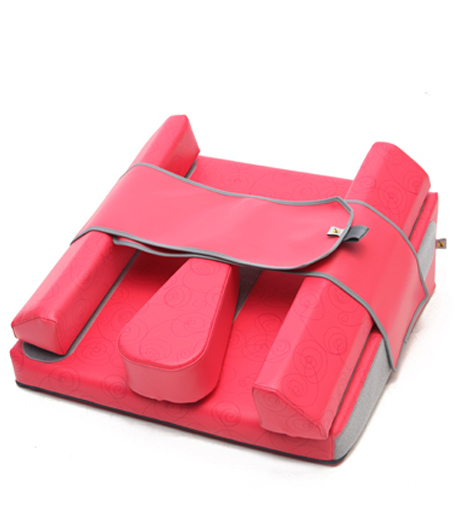 Wedges used for supine lying can also have straps, side walls and abduction and may well be used in conjunction with a roll to offer a comfortable position for the legs whilst reducing abdominal cavity pressure, especially helpful immediately after a meal. 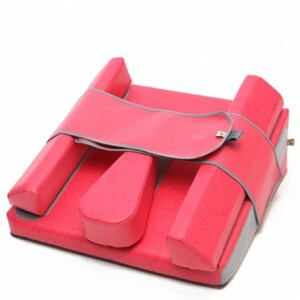 Abduction block to help maintain a neutral or abducted hip position in prone lying. Comes in 2 sizes. 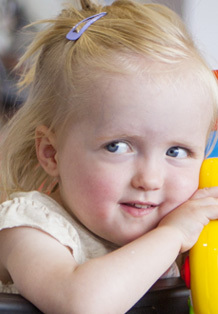 Side Walls help prevent children from rolling off the wedge. Come in 3 sizes. Straps keep a child centred on the wedge. 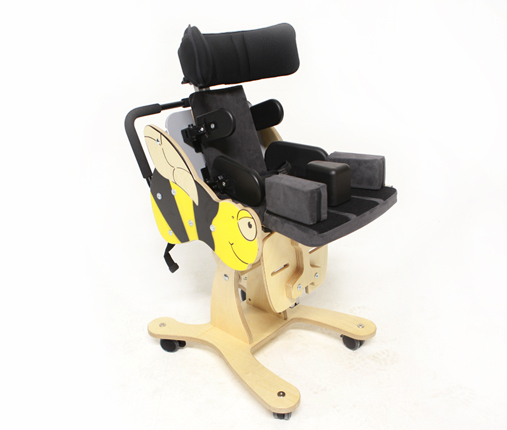 Find out more about the Jenx Bee chair here. 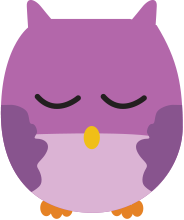 Need it quickly? New 5 working day despatch! Head and shoulders above the crowd! 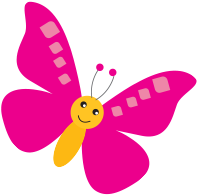 We’re committed to providing the best levels of customer service and after sales support. 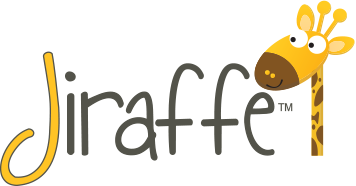 So almost everything in the Jiraffe range is available on a guaranteed 5 day despatch* at no extra charge. Click here to find out more about Jenx.